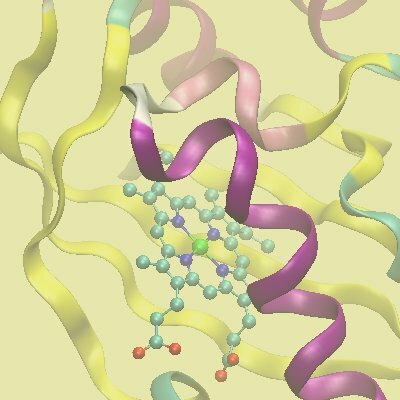 In the FFParmDev version 1.0 and starting from a molecular model representative of the chemical group to be parameterized, force field parameters (i.e. the force field constant for bonds and angles as well as the energy barrier for dihedrals) are determined by fitting Emm to Eqm energies (mm = molecular mechanics; qm = quantum mechanics) obtained during a series of structural deformations. The tLEaP program from AmberTools 1.4, Sander from the Amber 10 suite of programs, the Gaussian, GAMESS or Firefly quantum chemitry code and the Scilab program are interfaced and interconnected to build input topologies, to calculate Emm energies, to compute Eqm energies and to determine force field parameters from Emm vs Emm fitting, respectively. The input for FFParmDev is directly obtained from the R.E.D. program in the Tripos mol2 file format to which the required force field atom types are added. We are currently implementing two new procedures for developing missing force field parameters (i) a second approach for determining force field constant for bonds and angles from quantum mechanics Hessian computation is in preparation, and (ii) non-bonding van der Waals force field parameters will be determined by Emm - Eqm fitting from a series of deformations of inter-molecular complexes. FFParmDev 1.1 will be distributed under the GNU General Public License.